Day of Tears: A Novel in Dialogue (Prebound) | Let's Play Books! On March 2 and 3, 1859, the largest auction of slaves in American history took place in Savannah, Georgia. More than 400 slaves were sold. On the first day of the auction, the skies darkened and torrential rain began falling. The rain continued throughout the two days, stopping only when the auction had ended. The simultaneity of the rain storm with the auction led to these two days being called "the weeping time." Master storyteller Julius Lester has taken this footnote of history and& nbsp; created the& nbsp; crowning achievement of his& nbsp; literary career. & nbsp; Julius Lester tells the story of several characters including Emma, & nbsp; a slave owned by& nbsp; Pierce Butler and caretaker of his two daughters, and Pierce, a man with a mounting gambling debt and household to protect. Emma wants to teach his daughters?? ?one who opposes slavery and one who supports it?? ?to have kind hearts. Meanwhile, in a desperate bid to survive, Pierce decides to cash in his ???assets??? and host the largest slave auction in American history. And on that day, the skies open up and weep endlessly on the proceedings below. 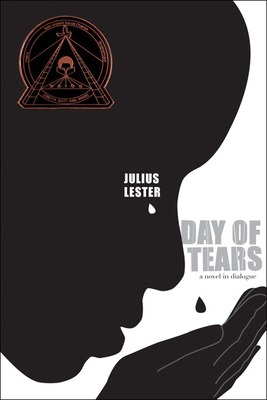 Using the multiple voices of enslaved Africans and their owners, Julius Lester has taken a little-known, all-true event in American history and transformed it into a heartbreaking and powerfully dramatic epic on slavery, and the struggle to affirm humanity in the midst of it.